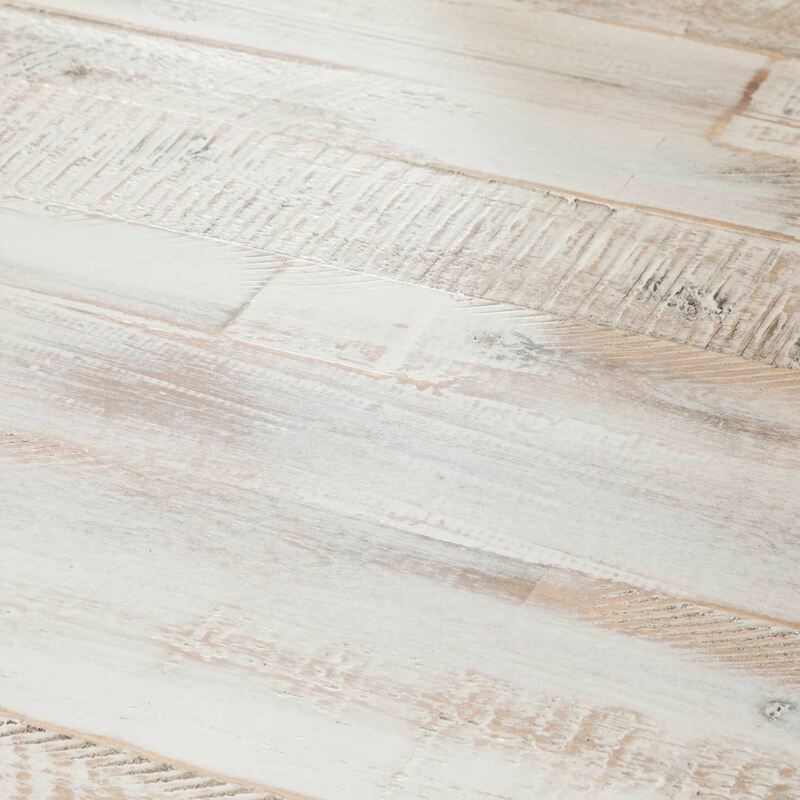 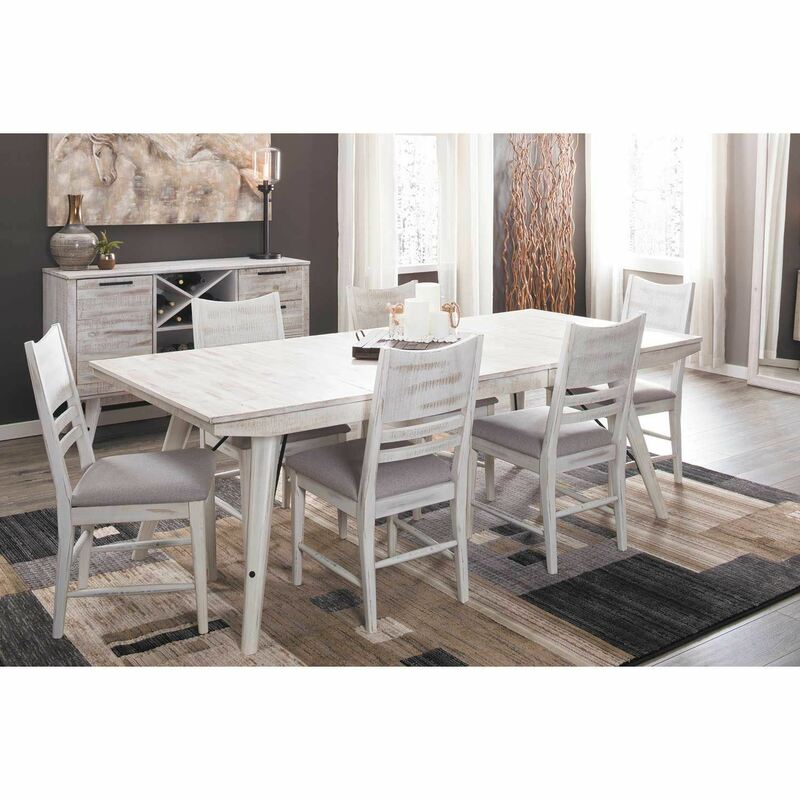 With the flair of mid-century modern design and the weathered charm of rustic style, the Modern Rustic Table by Intercon Furniture brings a unique look to your home. 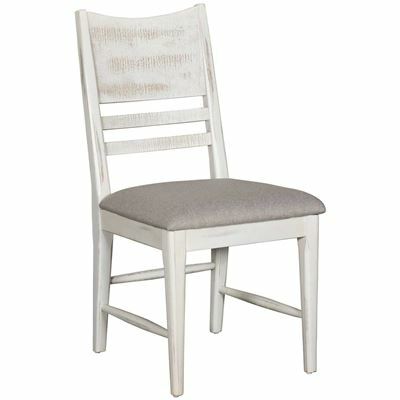 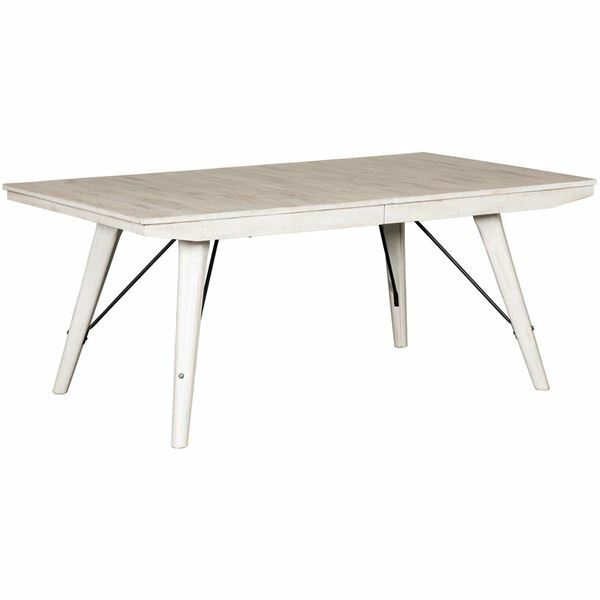 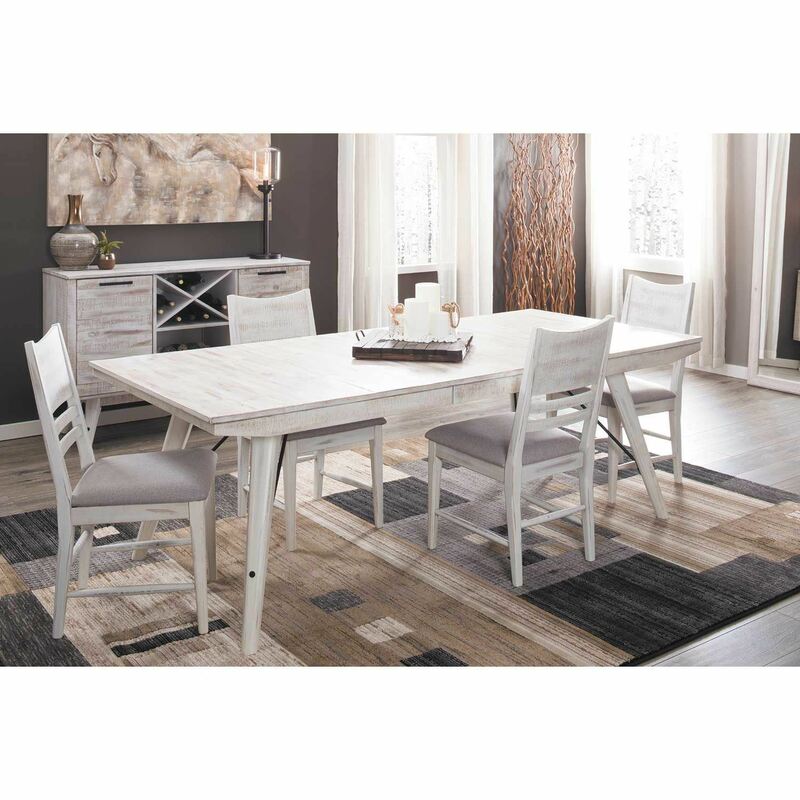 This dining table features mid-century modern’s signature canted, tapered legs and metal strut accents paired with a hand-rubbed white paint finish for rustic character. 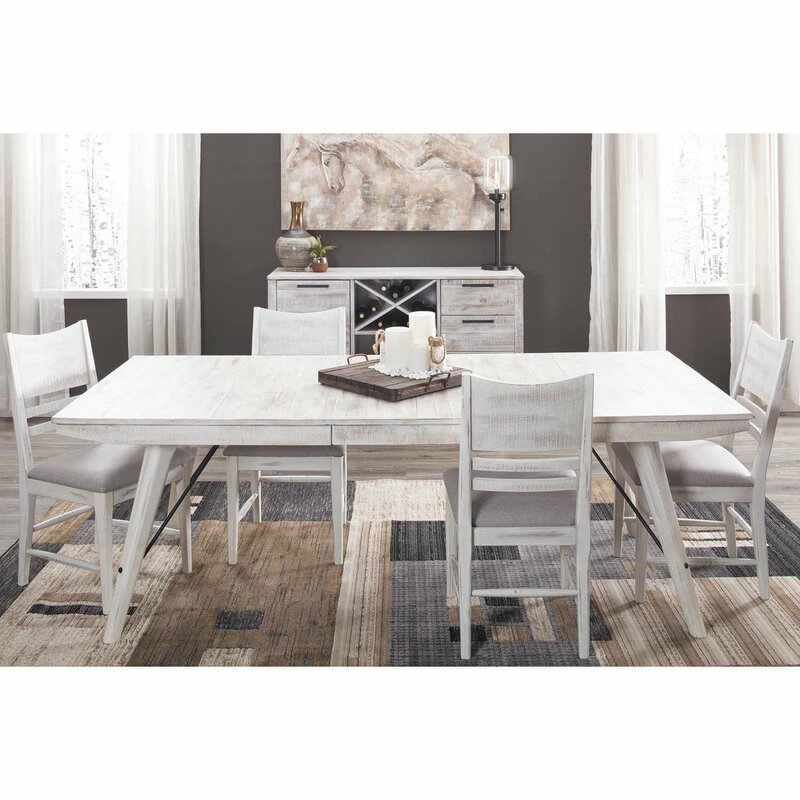 With the flair of mid-century modern design and the weathered charm of rustic style, the Modern Rustic Table by Intercon Furniture brings a unique look to your home. 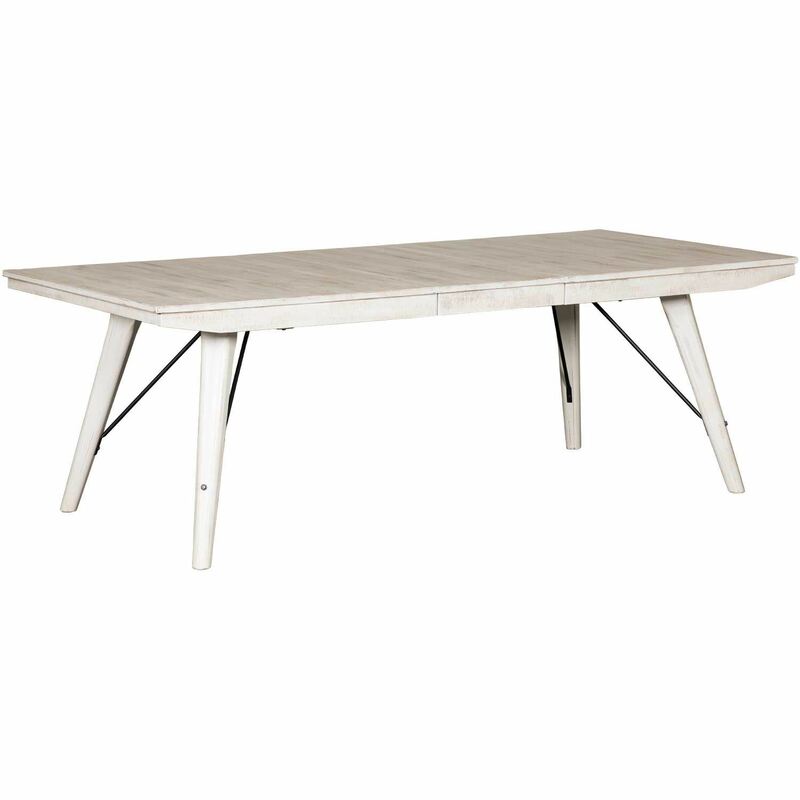 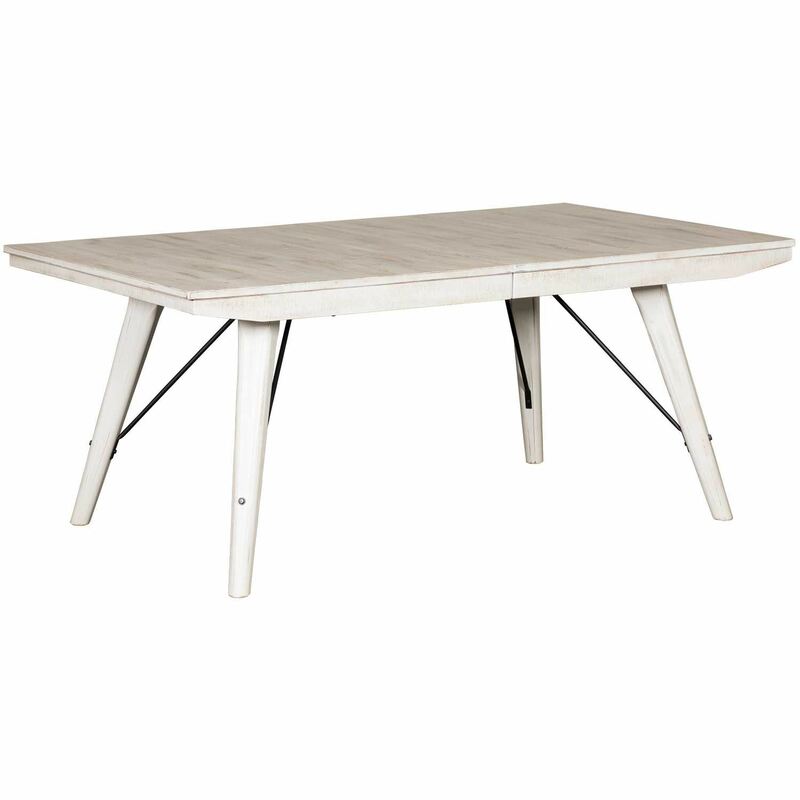 Modern Rustic Trestle Table by Intercon Furniture. 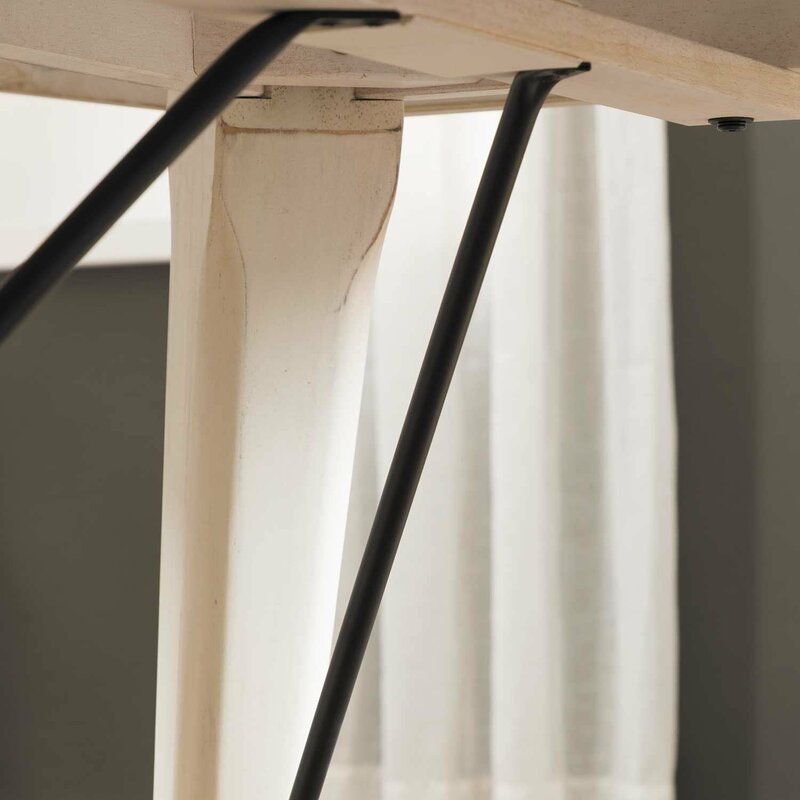 One 18” self-storing leaf with ball bearing glides.